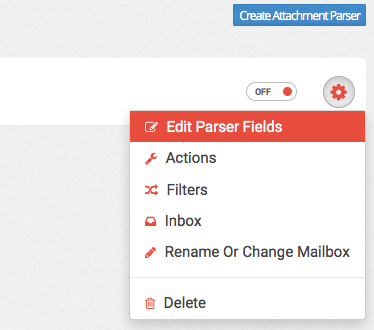 After you have created an inbox, click Create Attachment Parser. Then give your Parser a label. This is just for your reference so you may name it whatever you like. 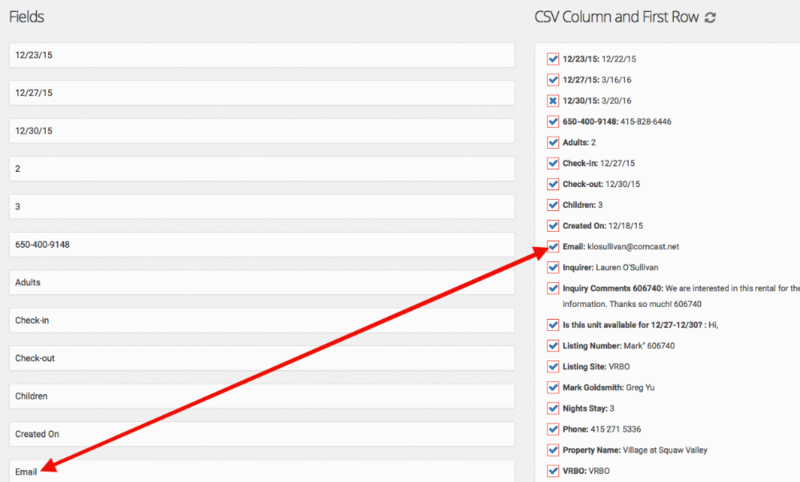 Choose the number of rows to skip if your CSV has content before the column headers. Select your inbox and click save. Copy the serialized email address that was generated when you created your mailbox. 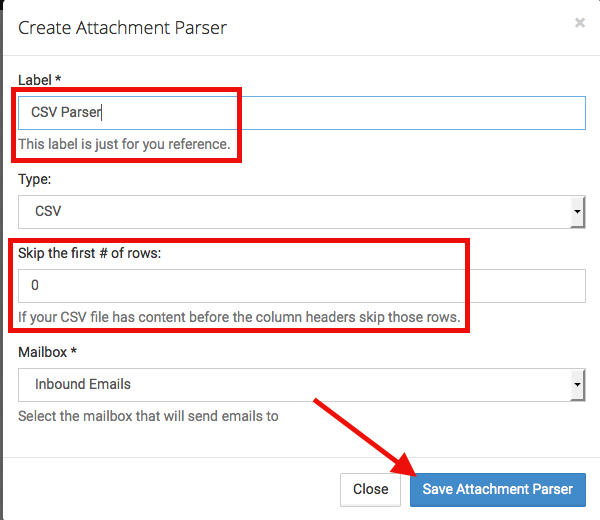 Send the CSV as an attachment to that email. Once the Mailbox has received the email the Parser will turn blue and you can configure it. Click the gear icon and select Edit Parser fields. Select the fields that you want to grab from the CSV file to update to the contact record. Note: Either Email Address or ContactId is required. Once you have selected all of your desired fields, click Configure Actions. Continue on to the next part by clicking on the service you are wanting to integrate with.